Tue, Oct 6 2009WASHINGTON (Reuters) – The United States reversed policy on Wednesday and said it would back launching talks on a treaty to regulate arms sales as long as the talks operated by consensus, a stance critics said gave every nation a veto. Imagine a judicial candidate that is so far to the left that even Obama’s Chief of Staff, Rahm Emmanuel, is hesitant to push him forward. Imagine a liberal law professor that not only fails to meet the ABA’s basic requirements for a federal judge, but is so green behind the ears that it appears the only reason he is being nominated to the federal courts is because he served as part of President Obama’s transition team. If you can imagine such a leftist candidate, then you would be thinking of Goodwin Liu, the President’s recent nominee for the U.S. Court of Appeals for the Ninth Circuit. Liu is the Associate Dean and Professor of Law at the ultra-left UC Berkeley School of Law. Only 39 years old, he comes nowhere near fulfilling the ABA’s standards for a judge. Got it? Like many radical progressives, Liu believes that our rights are constantly evolving. The Second Amendment might have been necessary in the 1700s, he believes, but now those rights are no longer necessary. Noted author David Kopel cites a law journal article of Liu’s where he criticizes the Supreme Court for declaring two gun control laws as unconstitutional — the Brady Law’s unfunded mandate and the Gun-Free School Zones Act. Liu said that Supreme Court cases like these did “damage” to civil rights and “upset settled understandings of congressional power.” What?! 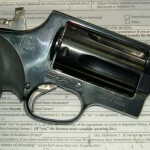 Striking down gun control laws does damage to civil rights? Well, let’s be clear: the Court did upset someone’s “settled” understanding of things, but it was the LIBERAL’S misunderstanding of the Constitution. By the way, Liu co-authored the 2002 law journal article with then-Senator Hillary Clinton… which should tell us all we need to know about Liu’s liberal, anti-gun views! The bottom line is that Liu would not be a stickler for the Constitution if he were to sit on the appellate court. I am very disappointed by President Obama’s nomination of Professor Goodwin Liu to the U.S. Court of Appeals for the Ninth Circuit…. Instead of nominating an individual who has demonstrated an impartial commitment to following the Constitution and the rule of law, President Obama has selected someone far outside the mainstream of American jurisprudence. Professor Liu believes that judges should look to “evolving norms and social understandings” in interpreting the Constitution, he has a history of advocating for racial preferences, and he served on the Board of the directors of the ACLU. ACTION: Please urge your two Senators to oppose Obama’s appointment of Goodwin Liu, the latest anti-gun liberal to be picked for the federal courts. You can use the Gun Owners Legislative Action Center at http://www.gunowners.org/activism.htm to send your legislators the pre-written e-mail message below. I oppose the nomination of Goodwin Liu, the President’s recent nominee for the U.S. Court of Appeals for the Ninth Circuit. Liu is an anti-gun, radical leftist who doesn’t even meet the ABA’s basic requirements for a federal judge, as he has neither practiced law for 12 years, nor has he any experience as a trial lawyer. Liu believes that our rights are constantly evolving… which is why I’m very concerned about his Second Amendment views. He co-authored a law journal article in 2002 with then-Senator Hillary Clinton, wherein he criticizes the Supreme Court for declaring two gun control laws as unconstitutional — the Brady Law’s unfunded mandate and the Gun-Free School Zones Act. Leftists like Liu think our gun rights might have been necessary in the 1700s, but are no longer necessary today. I agree with Senator Jeff Sessions’ critique of Liu, as the latter mistakenly thinks that judges should look to “evolving norms and social understandings” in interpreting the Constitution. I vehemently oppose this view and hope you will vote against any nominee who doesn’t stand strong on the Bill of Rights. NORTH HAVEN — The Marlin Firearms Co., one of the town’s top taxpayers, will start to lay off employees in May and will close by June 2011. The gun manufacturer’s employees were told Thursday that the jobs of 265 salaried and hourly workers would be eliminated over 18 months. Marlin traces its history back to 1870. Marlin officials could not be reached for comment, but First Selectman Michael J. Freda heard the news from a company official Thursday evening. Freda said several factors appear to be driving the closure, from the cost of doing business in Connecticut to wage differentials. “The situation appears to be compounded by the fact that Connecticut is a difficult state for any manufacturer to sustain its business model,” Freda said after meeting with the company official. Freda said he asked whether the services Marlin was providing would be moved, but was told that was undetermined. State and federal officials also were contacted Thursday, according to Freda. The Remington Arms Co. bought Marlin in late 2007. Marlin is on Kenna Drive, off Bailey Road. Remington is a North Carolina affiliate that falls under the umbrella of the Freedom Group, one of the largest manufacturers of firearms and ammunition in the world, according to its Web site. No layoffs or closures were anticipated at the time of the $41.7 million sale. The firearms manufacturer should not be confused with The Marlin Co., a business-to-business Internet and print publication service that operated at the plant until late 2007. Now in Wallingford because it needed more space, that company employs 120 people. The chairman and president of The Marlin Co. is Frank Kenna III, whose grandfather, the late Frank Kenna Sr., bought Marlin Firearms at auction in 1924 when it was bankrupt. Marlin Firearms was started by John Marlin. But, Kenna said the rifle and shotgun industry has changed over the years. “What’s happening in the industry is it’s consolidating and there are fewer and fewer individual firearms companies. The culture has changed. “When we sold we were producing half of the number of rifles that we were in the early 1970s,” he said. The news that Marlin will be closing comes at a bad time for North Haven, which has a $6.6 million revenue gap going into the next fiscal year. “The timing of this news is very unfortunate as we are preparing for our upcoming budget,” Freda said. Freda said he will be doing his best to urge local Marlin officials to arrange a meeting for him with the parent company. “I would like to meet with the parent company in an effort to see if there’s any way to keep them here,” said Freda. “I can’t accept it without making an attempt,” he added. How much tax revenue the town receives from the company annually was not immediately available. On the 2009 grand list, Marlin was ranked No. 14. Contact Ann DeMatteo at 203-789-5716 or adematteo@newhavenregister.com. Freda said he would like to team up with U.S. Rep. Rosa L. DeLauro, D-3, to see what resources are available. BELLEVUE, WA – A report published by MSNBC.com confirms “everything gun rights groups have been saying for years, that more armed citizens does not equate to increased violence, and actually coincides with a reduction in homicides,” the Second Amendment Foundation said today. The on-line news agency this morning released an investigative report that record numbers of American citizens are now legally carrying firearms for personal protection. Yet, the report also reveals that homicide rates have declined dramatically during a period when gun sales have skyrocketed. Further, the report noted that Washington, DC with its extreme gun control has the highest murder rate in the nation, while Utah, with very liberal gun laws, has the lowest rate. “This is why,” he said, “anti-gun groups have lost their momentum and their credibility. They failed to gain traction even with a Democrat-controlled Congress and an anti-gun White House. They are so desperate for attention that they have now declared war on private businesses just to generate publicity. Their high-profile campaign of hysteria against Starbucks for complying with state laws that allow concealed and open carry in their coffee shops is based on an issue they fabricated just to grab headlines and television face time, and the public knows it. BELLEVUE, WA – The Second Amendment Foundation is delighted to be part of a new and growing international organization whose goal is the protection of firearms rights for private citizens. SAF Executive Vice President Alan M. Gottlieb, who serves as an IAPCAR director, just returned from the meeting, and he is encouraged that groups from other countries, including The Philippines, Switzerland, Belgium, Argentina, Finland, India, Israel, Greece, South Africa, and Australia are also interested in joining. Current plans call for IAPCAR to have offices in Washington, D.C. and Vienna, Austria, Gottlieb revealed. Washington, D.C. attorney Mark Barnes will serve as managing director. Julianne Versnel, another IAPCAR director, said the group already has member organizations in Canada, the United States, Greece, Germany and Italy. For more information, visit IAPCAR.com. 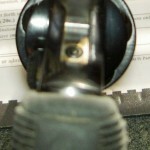 Yesterday I received a new (to me) firearm for one of my customers and thought I would write a review. 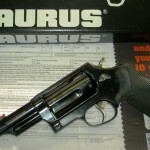 Here is how Taurus describes this pistol. Visually this is an attractive gun, the finish is a gloss blue over the entire firearm. with the exception of the trigger and hammer. 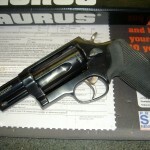 The grips are the “Ribber” style used by Taurus, I like the grips, they have always given a very comfortable grip to me and the grip angle points nicely as well. The name is engraved on the barrel and is done attractively. This pistol has a smooth faced trigger that broke at 3.9-4 lbs pre-cocked, and 11.9-11.15 Lbs on a full stroke. Seeing as this is a customers gun, I was unable to do a range session, but this seems like a well made gun, the ability to use .410 shells as well as .45lc in one gun is a really cool concept that while not new, allows for some interesting abilities for home defense to hunting. Chalk up another good one for the ATF! This is true. Remember, the murder rate is six per 100,000 per year, and the aggravated assault rate is four per 1,000 per year. What this means is that the vast majority of Americans are not inclined to hurt one another. Some estimates say that two million Americans are victims of violent crimes every year, a tragic, staggering number, perhaps an all-time record rate of violent crime. But there are almost 300 million Americans, which means that the odds of being a victim of violent crime is considerably less than one in a hundred on any given year. Furthermore, since many violent crimes are committed by repeat offenders, the actual number of violent citizens is considerably less than two million. Thus there is a paradox, and we must grasp both ends of the situation: We may well be in the most violent times in history, but violence is still remarkably rare. This is because most citizens are kind, decent people who are not capable of hurting each other, except by accident or under extreme provocation. They are sheep. I mean nothing negative by calling them sheep. To me, it is like the pretty, blue robin’s egg. Inside it is soft and gooey but someday it will grow into something wonderful. But the egg cannot survive without its hard blue shell. Police officers, soldiers, and other warriors are like that shell, and someday the civilization they protect will grow into something wonderful. For now, though, they need warriors to protect them from the predators. “Then there are the wolves,” the old war veteran said, “and the wolves feed on the sheep without mercy.” Do you believe there are wolves out there who will feed on the flock without mercy? You better believe it. There are evil men in this world and they are capable of evil deeds. The moment you forget that or pretend it is not so, you become a sheep. There is no safety in denial. “Then there are sheepdogs,” he went on, “and I’m a sheepdog. I live to protect the flock and confront the wolf.” If you have no capacity for violence then you are a healthy productive citizen, a sheep. If you have a capacity for violence and no empathy for your fellow citizens, then you have defined an aggressive sociopath, a wolf. But what if you have a capacity for violence, and a deep love for your fellow citizens? What do you have then? A sheepdog, a warrior, someone who is walking the hero’s path. Someone who can walk into the heart of darkness, into the universal human phobia, and walk out unscathed. Let me expand on this old soldier’s excellent model of the sheep, wolves, and sheepdogs. We know that the sheep live in denial, that is what makes them sheep. They do not want to believe that there is evil in the world. They can accept the fact that fires can happen, which is why they want fire extinguishers, fire sprinklers, fire alarms and fire exits throughout their kids’ schools. But many of them are outraged at the idea of putting an armed police officer in their kid’s school. Our children are thousands of times more likely to be killed or seriously injured by school violence than fire, but the sheep’s only response to the possibility of violence is denial. The idea of someone coming to kill or harm their child is just too hard, and so they chose the path of denial. The sheep generally do not like the sheepdog. He looks a lot like the wolf. He has fangs and the capacity for violence. The difference, though, is that the sheepdog must not, can not and will not ever harm the sheep. Any sheep dog who intentionally harms the lowliest little lamb will be punished and removed. The world cannot work any other way, at least not in a representative democracy or a republic such as ours. Still, the sheepdog disturbs the sheep. He is a constant reminder that there are wolves in the land. They would prefer that he didn’t tell them where to go, or give them traffic tickets, or stand at the ready in our airports, in camouflage fatigues, holding an M-16. The sheep would much rather have the sheepdog cash in his fangs, spray paint himself white, and go, “Baa.” Until the wolf shows up. Then the entire flock tries desperately to hide behind one lonely sheepdog. This is how the little lambs feel about their sheepdog when the wolf is at the door. Look at what happened after September 11, 2001 when the wolf pounded hard on the door. Remember how America, more than ever before, felt differently about their law enforcement officers and military personnel? Remember how many times you heard the word hero? Understand that there is nothing morally superior about being a sheepdog; it is just what you choose to be. Also understand that a sheepdog is a funny critter: He is always sniffing around out on the perimeter, checking the breeze, barking at things that go bump in the night, and yearning for a righteous battle. That is, the young sheepdogs yearn for a righteous battle. The old sheepdogs are a little older and wiser, but they move to the sound of the guns when needed, right along with the young ones. Here is how the sheep and the sheepdog think differently. The sheep pretend the wolf will never come, but the sheepdog lives for that day. After the attacks on September 11, 2001, most of the sheep, that is, most citizens in America said, “Thank God I wasn’t on one of those planes.” The sheepdogs, the warriors, said, “Dear God, I wish I could have been on one of those planes. Maybe I could have made a difference.” When you are truly transformed into a warrior and have truly invested yourself into “warriorhood”, you want to be there. You want to be able to make a difference. There is nothing morally superior about the sheepdog, the warrior, but he does have one real advantage. Only one. And that is that he is able to survive and thrive in an environment that destroys 98 percent of the population. There was research conducted a few years ago with individuals convicted of violent crimes. These cons were in prison for serious, predatory crimes of violence: assaults, murders and killing law enforcement officers. The vast majority said that they specifically targeted victims by body language: Slumped walk, passive behavior and lack of awareness. They chose their victims like big cats do in Africa, when they select one out of the herd that is least able to protect itself. Some people may be destined to be sheep and others might be genetically primed to be wolves or sheepdogs. But I believe that most people can choose which one they want to be, and I’m proud to say that more and more Americans are choosing to become sheepdogs. There is no safety for honest men except by believing all possible evil of evil men. – Edmund Burke — Here is the point I like to emphasize, especially to the thousands of police officers and soldiers I speak to each year. In nature the sheep, real sheep, are born as sheep. Sheepdogs are born that way, and so are wolves. They didn’t have a choice. But you are not a critter. As a human being, you can be whatever you want to be. It is a conscious, moral decision. If you want to be a sheep, then you can be a sheep and that is okay, but you must understand the price you pay. When the wolf comes, you and your loved ones are going to die if there is not a sheepdog there to protect you. If you want to be a wolf, you can be one, but the sheepdogs are going to hunt you down and you will never have rest, safety, trust or love. But if you want to be a sheepdog and walk the warrior’s path, then you must make a conscious and moral decision every day to dedicate, equip and prepare yourself to thrive in that toxic, corrosive moment when the wolf comes knocking at the door. For example, many police officers carry their weapons in church. They are well concealed in ankle holsters, shoulder holsters or inside-the-belt holsters tucked into the small of their backs. Anytime you go to some form of religious service, there is a very good chance that a police officer in your congregation is carrying a weapon. You will never know if there is such an individual in your place of worship, until the wolf appears to massacre you and your loved ones. It is denial that turns people into sheep. Sheep are psychologically destroyed by combat because their only defense is denial, which is counterproductive and destructive, resulting in fear, helplessness and horror when the wolf shows up. Denial kills you twice. It kills you once, at your moment of truth when you are not physically prepared: you didn’t bring your gun, you didn’t train. Your only defense was wishful thinking. Hope is not a strategy. Denial kills you a second time because even if you do physically survive, you are psychologically shattered by your fear, helplessness and horror at your moment of truth. This business of being a sheep or a sheep dog is not a yes-no dichotomy. It is not an all-or-nothing, either-or choice. It is a matter of degrees, a continuum. On one end is an abject, head-in-the-sand-sheep and on the other end is the ultimate warrior. Few people exist completely on one end or the other. Most of us live somewhere in between. Since 9-11 almost everyone in America took a step up that continuum, away from denial. The sheep took a few steps toward accepting and appreciating their warriors, and the warriors started taking their job more seriously. The degree to which you move up that continuum, away from “sheephood” and denial, is the degree to which you and your loved ones will survive, physically and psychologically at your moment of truth. Lt. Col. Dave Grossman is an internationally recognized scholar, author, soldier, and speaker. He is the author of the Pulitzer Prize nominated book, On Killing. Gun Owners Of America is pleased to announce our “Friends of the Second Amendment” dinner to be held at Sindbad’s at The River, located at 100 St. Clair Street, Detroit, Michigan on Saturday, March 27, from 5 P.M. until 8 P.M. This year’s dinner will be highlighted with a special address from keynote speaker Larry Pratt, Executive Director of Gun Owners of America. Many noted local, state and federal political figures will also be on hand to answer your questions. Tickets to this event are $50 per person, $75 per couple, and $40 per person for a table of eight ($320). This includes a one-year membership (or extension) to GOA, plus door prizes, a silent auction of your favorite firearms accessories and a firearms raffle. Dinner proceeds will go to Gun Owners of America. Italian Sausage with Peppers and Onions and Fruit, Vegetable & Cheese trays. To confirm your attendance by check (before March 23rd): Mail to 8001 Forbes Place, Springfield, VA 22151. Please make checks payable to GOA with “GOA Dinner” noted on the memo line.